What is the definition of an introverted accountant? Someone who stares at their shoes when talking to you. 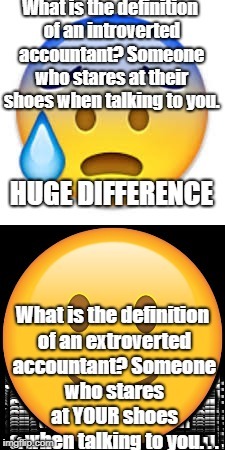 HUGE DIFFERENCE; What is the definition of an extroverted accountant? Someone who stares at YOUR shoes when talking to you.